Focus North America is a Pan-Orthodox non-profit ministry with headquarters in Kansas City, MO. Its mission is one of service to the poor in urban and rural areas. As an expression of Christ’s love, FOCUS North America serves the hungry, thirsty, stranger, naked, sick and imprisoned by providing Food, Occupation, Clothing, Understanding and Shelter. New FOCUS Centers are being created all over the United States, including Pittsburgh, where churches are working together to provide meals for the poor as well as other services. Mission: As an expression of Christ’s love FOCUS North America serves the hungry, thirsty, stranger, naked, sick and imprisoned by providing Food, Occupation, Clothing, Understanding, and Shelter. – Serve those in need, by providing assistance targeted to the homeless and working poor of America through the provision of sustainable services. – Support Orthodox Christian outreach by providing a platform for social action ministries, that can engage local agencies, professionals, and volunteers. – Leverage existing programs and resources throughout the nation to support the extension and development of new community-driven outreach activities. FOCUS Centers are setup in cities/regions to provide a hands-on outreach to the poor, needy and suffering in an area. The centers are established in a neighborhood or community with great need and are run by a local director employed by FOCUS North America and staffed with volunteers from local Orthodox churches and others. They are initially centered around a feeding program but also have several life-recovery ministries. Services at FOCUS Centers are based upon the need of an area. The services they provide mayinclude the following: community meals, food pantry, mobile hospitality outreach, companionship ministries, counseling and case management, shelter referrals, occupational training, clothing closets and other vital life recovery services. Reconciliation Services-FOCUS Kansas City is our pilot FOCUS Center. 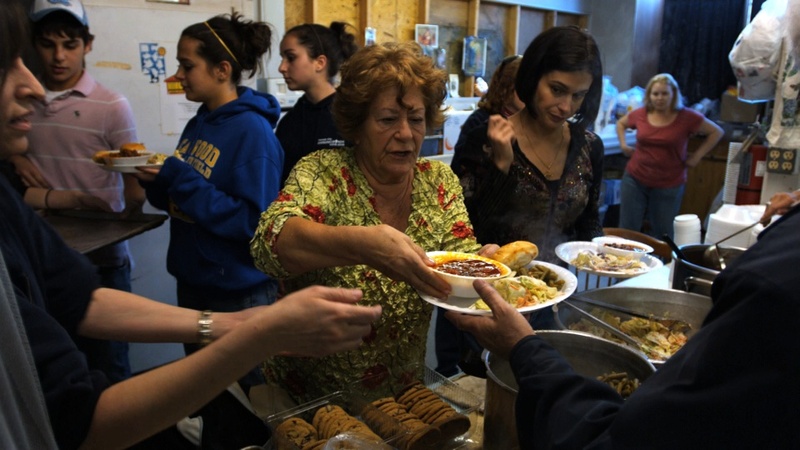 It offers a food pantry, clothing closet, document recovery service, counseling programs and a Friday night meal where over 200 Orthodox Christians volunteer a month. YES (Youth Equipped to Serve) is a ministry of FOCUS North America which is designed to provide local parishes and youth workers with the resources necessary to involve junior and senior high students in local community service and short-term missions projects. The Purpose of the program is to encourage our youth to live out their faith through service to others YES provides opportunities for youth to get involved with outreach at different levels and help them grow into positions of student leadership. FOCUS Appalachia is a ministry of FOCUS North America that aids the poor in the Appalachian Mountains of North Carolina. Teams will do service projects for which no experience is required. Specific projects will are determined and assigned upon arrival. Projects will depend on the skill set of those who volunteer. All work done will be physical; along the lines of building and home improvement. If you represent a social action ministry or are an Orthodox social action worker and are interested in joining the Fellowship of Orthodox Christians United to Serve please email us here and tell us about what you do!